Eight others receive two years in prsion.Impoverished couple accused of burning Koran. Eight others charged in the attack were sentenced to two years in prison, sources said. 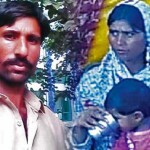 Hundreds of villagers in Kot Radha Kishan, incited by Muslim leaders calling for violence via mosque loudspeakers, were involved in the Nov. 4, 2014 assault in which 26-year-old Shahzad Masih and his five-months pregnant wife, Shama, 24, were thrown into a burning brick kiln. Anti-Terrorism Court (ATC) Judge Chaudhry Azam on Wednesday (Nov. 25) handed death sentences to Irfan Shakoor, Muhammad Hanif, Mehdi Khan, Riaz Kamboh and Hafiz Ishtiaq, along with a fine of 200,000 rupees (US$1,900) to each for inciting violence against the Christian couple and throwing them into the kiln. The judge ordered the two-year prison terms for Noorul Hasan, Muhammad Arsalan, Muhammad Haris, Hussain, Muhammad Munir, Muhammad Ramzan, Irfan and Hafiz Shahid. Attorney Riaz Anjum, who represented the father of the deceased woman, told Morning Star News that although more than 50 people had been originally charged in the lynching, most of them had been acquitted after family members of Shahzad Masih recorded statements denying that they were present at the scene. Masih and his wife worked as bonded laborers at the brick kiln when the throng descended on them after area Muslims accused them of committing blasphemy by burning Quranic pages. The mob tore the clothes off them, struck them, broke their legs, dragged them behind a tractor and threw them into the burning furnace of a brick kiln – even though Shama was illiterate and could not have known even if koranic verses were among debris that she had burned. Under Pakistan’s widely condemned blasphemy statutes, intent must be shown for a conviction of desecrating the Koran. On Nov. 2, 2014 Shama Masih was cleaning her quarters in Chak 59 village near Kot Radha Kishan, Karur District, about 60 kilometers (37 miles) southwest of Lahore, when she found amulets of her late father-in-law, who had used them in the practice of black magic. The amulets may have contained koranic verses, and a Muslim co-worker, Muhammad Irfan, noticed half-burnt papers and accused the family of desecrating the Koran, relatives said. The couple is survived by their four children. 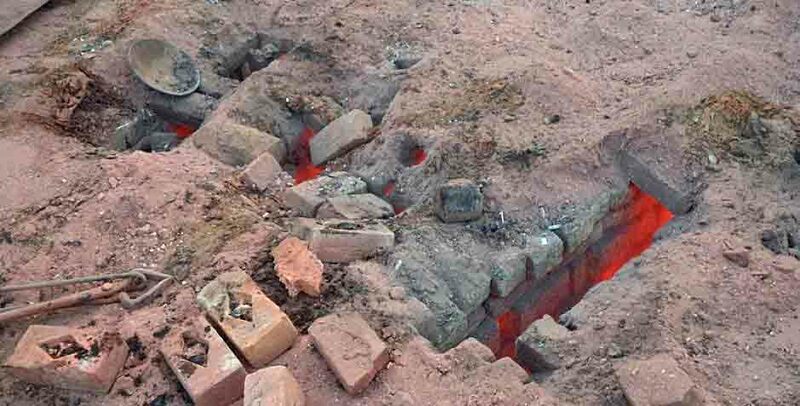 Commenting on the bail given to the lead suspect in the case, Yousuf Gujjar, Anjum said the brick kiln owner had managed to secure bail from the court after Shahzad Masih’s family members testified that he was not present at the kiln when the mob killed the Christian couple. In addition, state’s witnesses, including police official Muhammad Ali, who had witnessed the entire crime and had named Gujjar as the main inciter of violence in the First Information Report (FIR), retracted their statements against the kiln owner when the trial began,sources said. 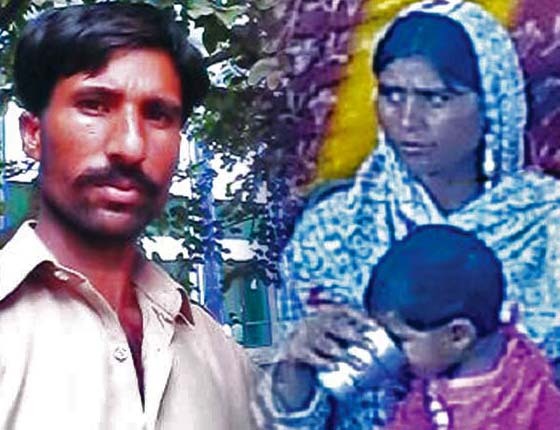 Punjab Province Minister for Human Rights Khalil Tahir Sindhu has stated that police found Gujjar and his son had instigated a local Muslim prayer leader to declare the couple guilty of blasphemy from the loudspeaker of his mosque. Morning Star News made repeated attempts to contact Sindhu to enquire why the police witnesses had retracted their original statements and whether the government had initiated an inquiry, but he remained inaccessible by phone. Aneeqa Maria, an attorney with The Voice Society, which provided legal support to the deceased woman’s family, said 52 people had been named in the original FIR, while names of 88 others were included later after investigation. Still, Christian rights activists and socio-political workers lauded the court’s verdict. Prominent minority rights activist and chairman of the Pakistan Interfaith League (PIL) Sajid Ishaq said it was a difficult but just decision. On Nov. 3, 2014, Muslim neighbors of the couple accused Shama Masih of burning pages of Islam’s holy book, stoking religious tension in the area. Although police were informed about a possible attack on the Christian families resident at the kiln, the police only sent a mobile squad of five officers to monitor the situation. Shahzad Masih and his brothers pleaded with Gujjar to let them escape, but he refused to let them go until they paid their debt, sources said. Soon afterwards, the mob got hold of the Christian couple and subjected them to torture, beating them near death and later throwing their bodies, still believed to be alive, into the flames. The incident caused an outrage in national and international media and civil society, prompting the Pakistani government to take the unprecedented step of becoming the complainant in the case. But sources have said the state later lost interest, allowing several of those directly involved to walk away free by manipulating gaps in the Pakistani legal system. 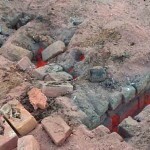 Brick kiln where Shahzad and Shama Masih were killed.